Try eversign Professional for 30 days — It's free! 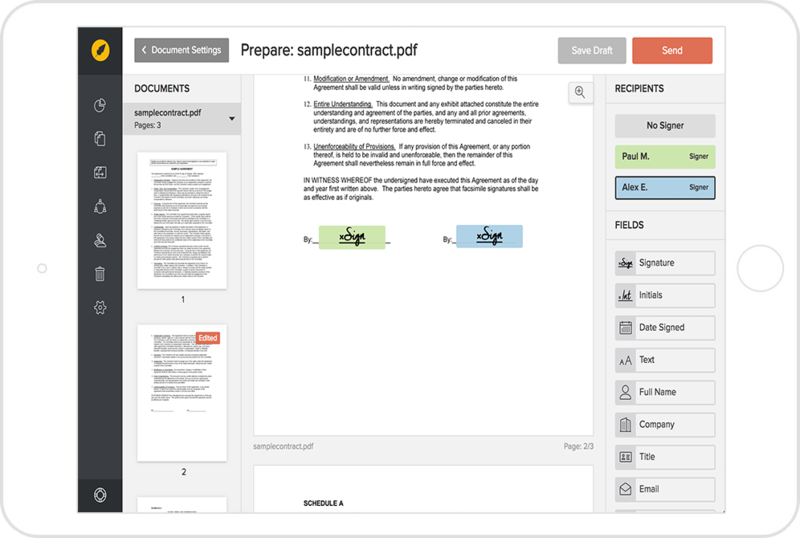 Upload your document, declare signers and recipients, prepare your document for signature and deliver it to all parties. 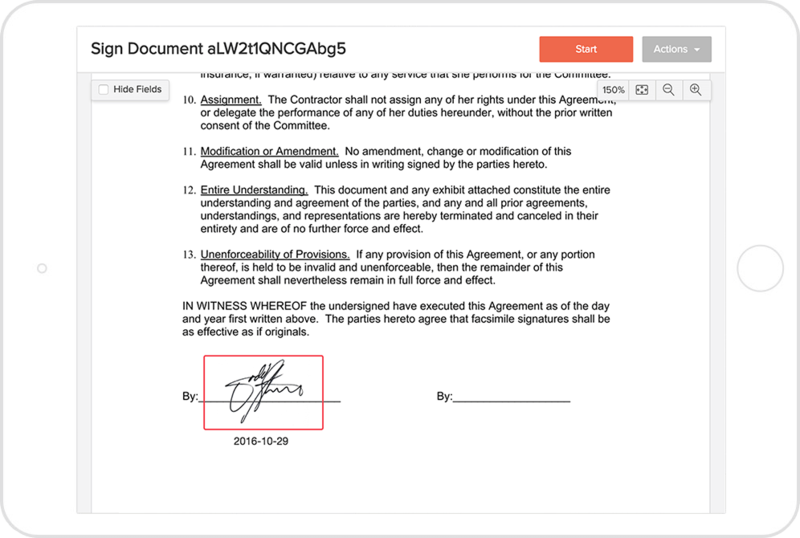 Each signer receives a secure eversign signing link taking them to your document. They sign using their PC, tablet or phone. 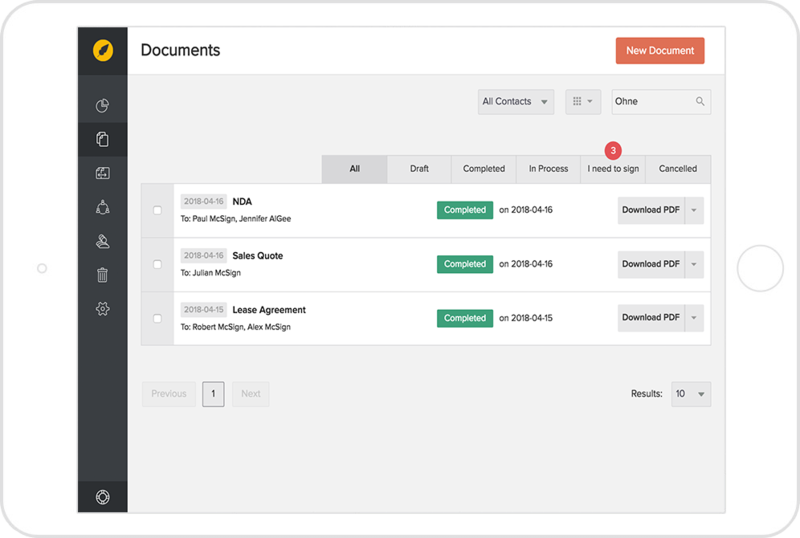 Post completion your signed documents are stored securely in your eversign account — you can also choose to export or delete them. Your eversign experience has been optimised for any device — whether it's a PC at the office, a tablet during a meeting or a mobile device to collect signatures in the field.